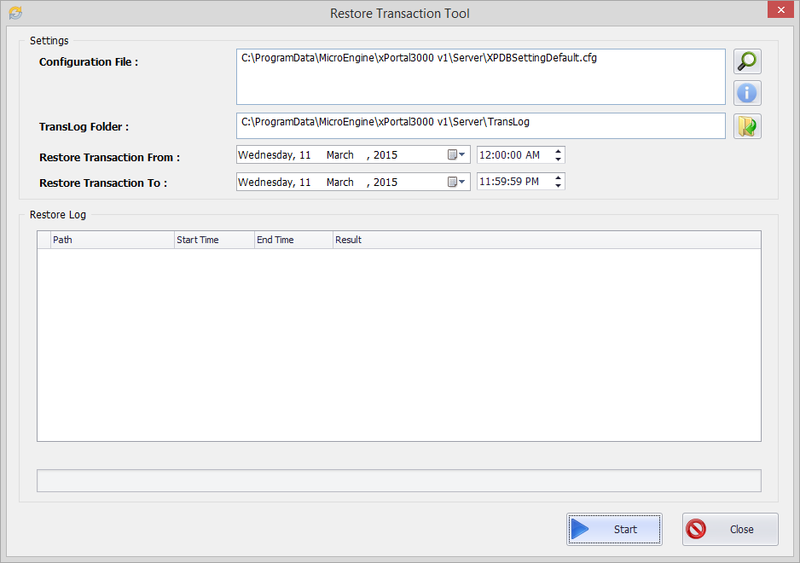 How to use the Restore Transaction Tool in xPortal3000 Server Configuration Manager? This article contains steps to use the Restore Transaction Tool in xPortal3000 Server Configuration Manager. 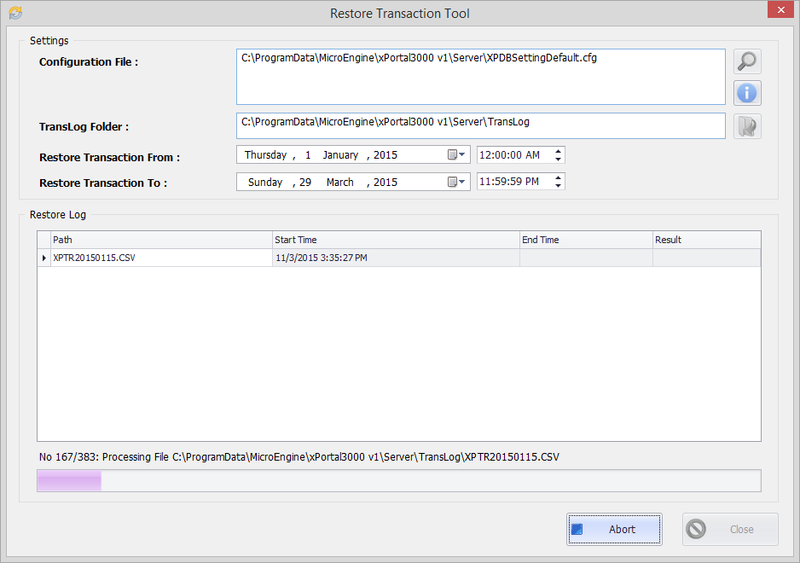 This tool helps user to restore any missing transaction according to the date selected. 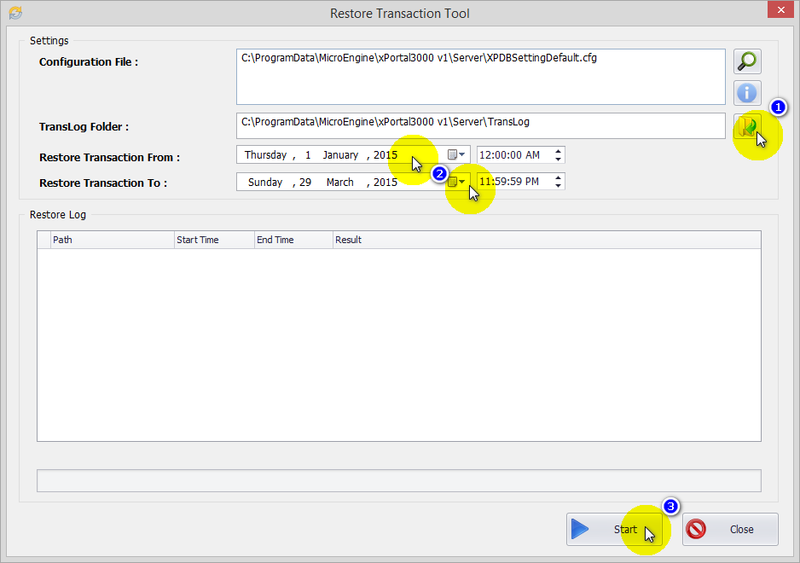 › After generate report, some transactions are missing. › Transaction yet to be loaded from the controller into software. › Software is not running every day. › Perform restore trans log. Make sure you have already exit the Client software. Make sure the TransLog Folder location is correct. Select the Restore Transaction From date and Restore Transaction To date that you prefer the transaction to be restored. Click Start button to start restore the Trans Log. During restoring transaction, you should see the progress of the restoration from the processing bar at the bottom of the windows. Please wait until the restoration finish. When the restoration is finish, there should be summary of the restoration shown above the processing bar. Please make sure there is no errors after the restoration process finished. 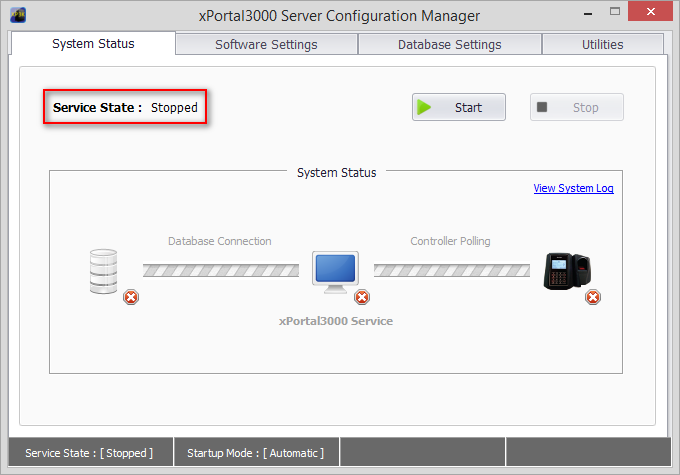 Run the xPortal3000 Service and login to Client software. Verify the transaction that have been restored by open the Transaction Report or rebuild Daily Attendance from Reporting menu. 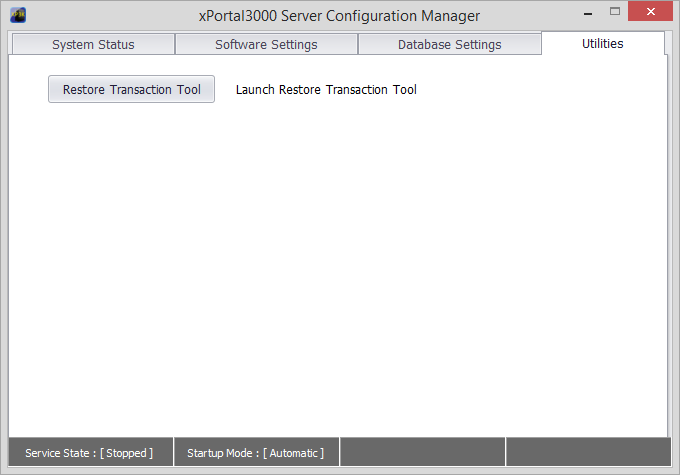 Summary: This article contains steps to use the Restore Transaction Tool in xPortal3000 Server Configuration Manager. 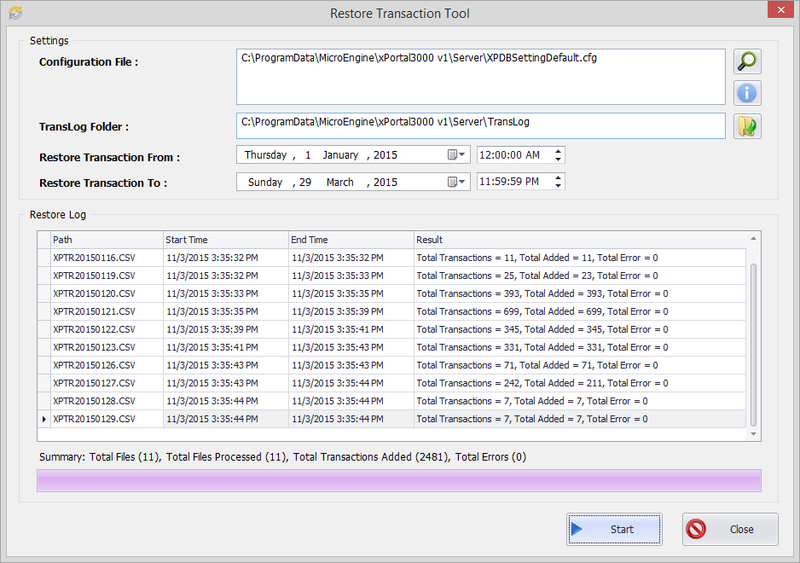 This tool helps user to restore any missing transaction according to the date selected.